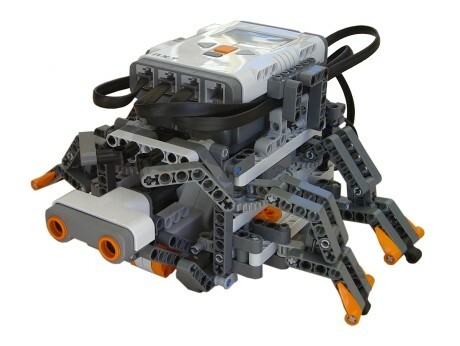 The Mine Sweeper robot scans for black bricks on flat light surfaces, collects and stores them in its large compartment. 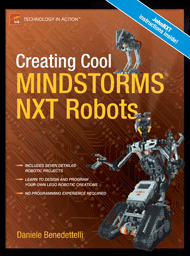 This robot is described in my book “Creating Cool MINDSTORMS NXT Robots”, that includes building and programming instructions. 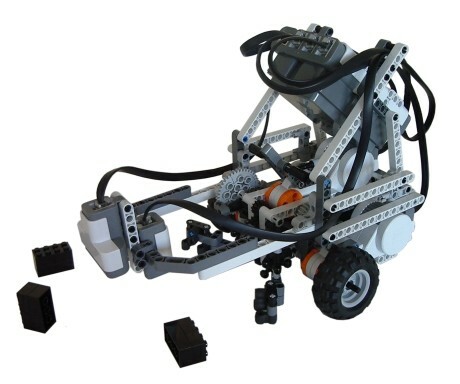 It’s a differential drive vehicle, with two driving motors, and a passive caster wheel. The grabber mechanism is driven by a motor, that closes the rubber-fingered claw and rises it to stock the “mine”; then opens the claw and brings the arm down again. 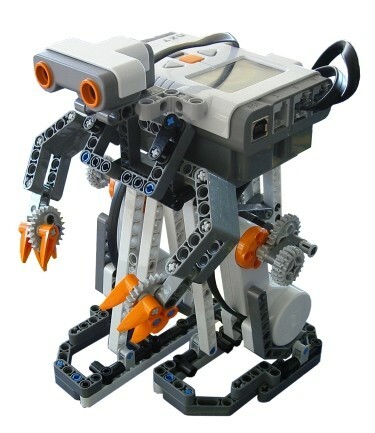 The light sensor is used to detect black objects on the surface, while the ultrasonic sensor detects if robot is going to fall down from the table, activating a backup procedure.